At the start of each year, everyone jostles to make predictions about what trends are going to be ‘in vogue’ for the year ahead. 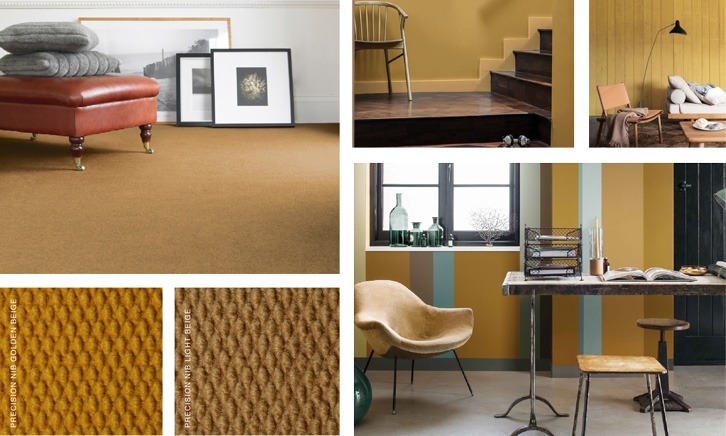 Here’s our take on the latest colour trends, and how it’s surprisingly easy to make entrance matting part of your overall look. It’s important to have a work environment that is aesthetically pleasing and reflects your company and brand’s personality. A well thought out interior for your office has the benefits of increasing staff productivity and morale. If you’re looking for some inspiration for 2018 then read on, as we take a look at what are predicted to be the top trends of 2018. 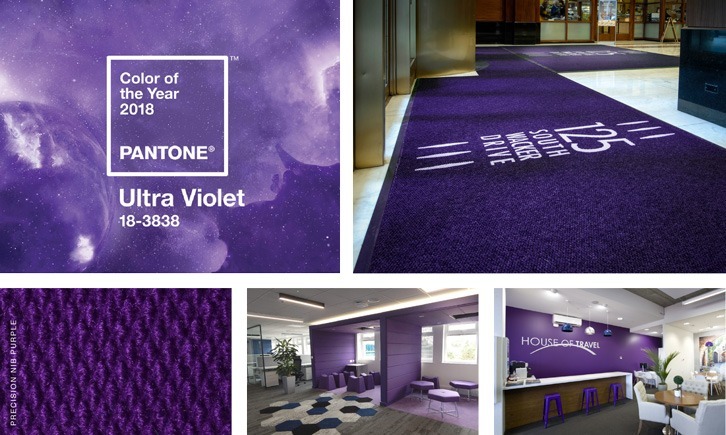 Pantone has voted Pantone 18-3838 (Ultra Violet to you and me) as its colour of the year. This shade of purple has blue-based tones which gives it a proactive and thoughtful hue, making it perfect fit for the current push towards wellness and spirituality as well as the galaxy aesthetic trend currently still going strong. We couldn’t agree more with Pantone’s choice, but then again, we are biased as it’s one our brand colours! Our Precision Nib range comes in a deep purple colour remarkably similar to Pantone 18-3838, so if you’re looking to add either a galactic or a spiritual look to your next design project, consider making a bold choice with the entrance matting. 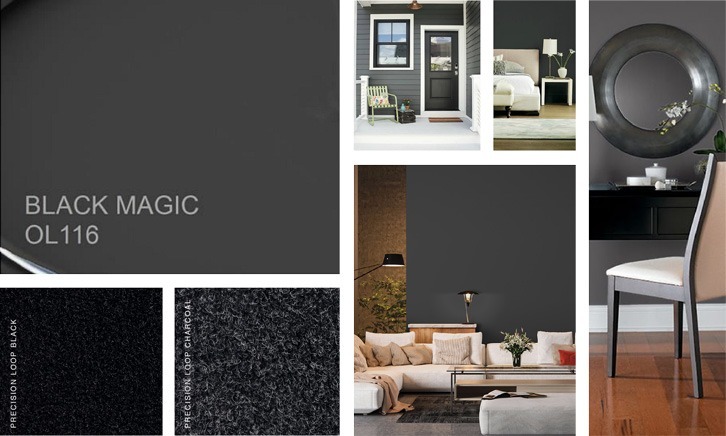 Olympic Paint has labelled its colour Black Magic (OL116) 2018’s colour of the year, and for good reason. Its indigo undertones give it a contemporary but soothing look, ideal to bring calm to any office or residential space. Precision Loop comes in up to 15 colours to choose from, including dark grey and charcoal which will tie in with a black statement wall quite nicely. Gold has now taken its crown back after being dethroned in 2017 by the copper trend. If you’re hesitant about incorporating the latest craze into your designs, gold is a classic finish that never truly goes out of style. It has been used for hundreds of years and isn’t going to go away anytime soon. If you’re looking into incorporate some gold into your next project, Precision Nib again comes in up 18 colours, including a light beige and a golden beige. It’s large nib design also provides outstanding scrubbing action, so it is equally effective at keeping dirt of interior floors. The high quality of the matting ensures that the edges never unravel or fray, keeping your work environment looking regal. The colour green and all things nature are also coming back. This is a trend that is both easy and beneficial to get behind. Potted plants and flowers are an affordable and simple way of incorporating this trend into any interior space. The plant life will also bring in the added bonus of increasing humidity and reducing carbon dioxide levels. However, if you’re not green-fingered, it doesn’t have be literal plant life in the workplace. 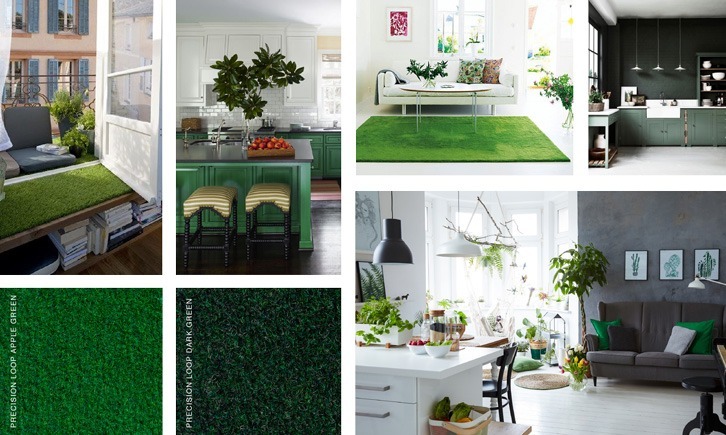 Creative interpretations of plant life such as ornaments and wall art can also be used if you want to stay on trend. Precision Loop is available in dark green and apple green, so you have options here. Rest assured, both have been designed with heavy weight pile, which provides outstanding absorbing and wiping action, ensuring that any nature that is tracked into the workplace is taken care of. 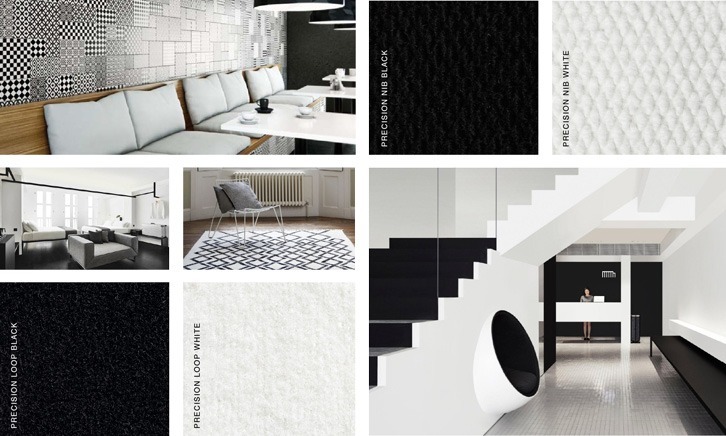 Black and white patterns, especially geometric, are still going strong and are predicted to remain a trend through 2018. For those hesitant to commit to something as bold as a geometric patterned sofa or wall, there’s always the option of wall art, which will not only give an environment a contemporary and modern feel, but will also be easy to replace once the trend has moved on. Both the Precision Loop and the Precision Nib are available in both black and white. Both are high quality matting with unbeatable resistance to wear, UV and staining and with low installation cost. 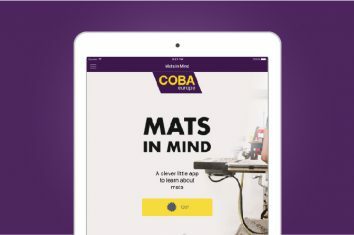 So, whichever direction 2018 takes your style, whether you’re leaning towards classics such as gold or black and white, or looking to be a little more adventurous with a nature theme or adding a cosmic purple to your space, COBA has you covered for whatever trend you decide to go for.